The father of one of three teens killed in a northeast Ohio school shooting was found dead Thursday, the second anniversary of his son's death, a sheriff's investigator said. A family member found 48-year-old Russell King Sr. dead inside his home, said Lt. John Hiscox of the Geauga County Sheriff's Department. The cause of death had not been determined, and a coroner was investigating. Hiscox said there were no signs of foul play. "Whatever transpired, there's no question Russell King is another victim of this tragic shooting two years ago today," said Craig Bashein, an attorney who represents the family in a wrongful death lawsuit. King's 17-year-old son, Russell King Jr., was one of three students killed in the shooting at Chardon High School east of Cleveland. Three other students were wounded, including Nick Walcazk, who was left paralyzed. Neighbor Gary Nickita tied red and black ribbons around trees on his property as a sign of mourning for the elder King, who was known as Rusty. "He was a great guy, help you out, if you needed it. 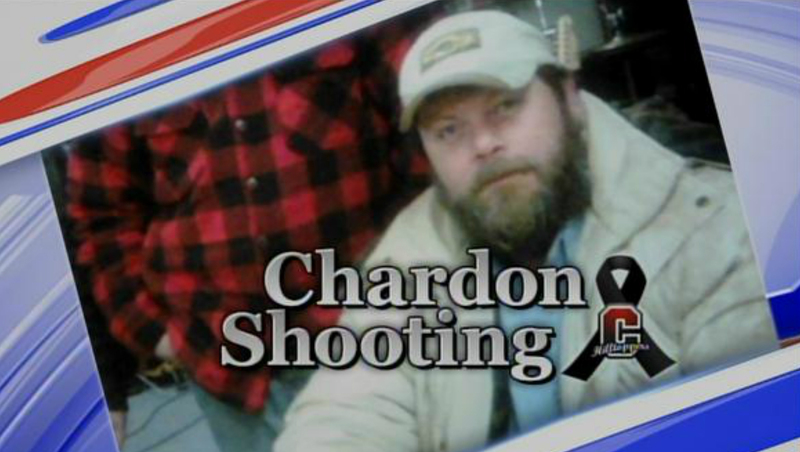 He was a great guy and he was my friend," Nickita told CBS affiliate WOIO. He said he believes Rusty King died of a broken heart. "His son was everything. They did everything together," Nickita said. The lawsuit says that the defendants were "specifically warned and advised for the need for additional security at Chardon High School in order to protect the student body and deter the likelihood of criminal assaults." Online court records on the lawsuit listed 25 defendants, but did not indicate any monetary damages the families were seeking or specify their legal claims against the schools. "Because this is now a legal matter, it would be inappropriate for the district to comment," Chardon Superintendent Michael Hanlon Jr. said in a statement. "Our focus today has been on supporting our students, staff and the community on this important day." Lake Academy Alternative School's director did not immediately respond to phone and email messages seeking comment after school hours Thursday. Prosecutors say T.J. Lane, who was waiting for a bus to the alternative school, took a .22-caliber pistol and a knife to the high school and fired 10 shots at a group of students inside the cafeteria on Feb. 27, 2012. Lane, who was 17 at the time of the shooting, pleaded guilty and is serving three life sentences. At his sentencing last March, he wore a T-shirt with "killer" scrawled across it and cursed and gestured obscenely at relatives of victims in the courtroom. Investigators said he admitted to the shooting but said he didn't know why he did it. A year ago, families of the three slain students filed a wrongful-death lawsuit against the teenage gunman and his family. The suit alleged negligent supervision by Lane's parents and grandparents. Attorneys said the families hope the lawsuit, which is still pending, will resolve unanswered questions and ensure that Lane doesn't profit from his crimes.